Every company should have an exit strategy. Some people look to sell their business after an amount of time passes, while others may want to hand the business down to their younger relatives. Then there are those who simply just want to close down the company when the time comes. This usually occurs with smaller businesses, such as coffee shops, bookstores, cobbler service shops, and so on. Closing up shop, however, is not as simple as just permanently locking the doors and turning off the lights. If you are at the point of closing down your business, you will have to go through the steps of dissolving and winding up the business. As with most states, in Alabama, you will have to notify the state of your decision to close down your business. 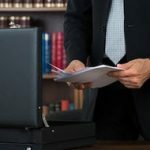 This can be done by filing the proper articles of dissolution with the Office of the Judge of Probate where your entity was originally incorporated or organized. Such documents are usually found on the Alabama Secretary of State’s website. There are usually associated fees with these documents. The state will want to know that the shareholders or proper voting groups agreed on and wanted the dissolution. Evidence of that needs to accompany the articles of dissolution. The process of winding up the business requires you to essentially take care of the business’s affairs and tie up loose ends. This is also where things can get tricky and more errors can occur. 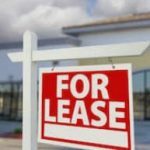 According to Alabama statutory law, after the articles of dissolution are filed, the company has to stop conducting regular business, unless it is in connection with winding up the business. It further requires the company to sell its property that will not be distributed in kind to its owners or members and to “perform any other act required to wind up its business and affairs.” This last requirement is broad and slightly vague, which works well since each company has different matters to address during the winding up process. While the following points may not apply to every company, most companies will want to at least consider gathering up all of its assets, notifying its creditors of the dissolution and satisfying any debt it has with them, satisfying any other liabilities the company has, closing out bank accounts, and addressing any tax obligations. After all of the company’s financial obligations and debts have been satisfied, the company should distribute anything that remains to its owners or other relevant individuals. Usually, the company’s formation documents, such as the bylaws or operating agreements, set forth the process of asset distribution. While not initially apparent, the company might also need to cancel permits, licenses, and leases it may have had, as well as withdraw from other states in which it previously conducted business. One risk with dissolving and winding up your business incorrectly is that it may open the dissolved entity, you, or the other owners up to legal claims down the road. That is why it is important to correctly tackle the process from the beginning. 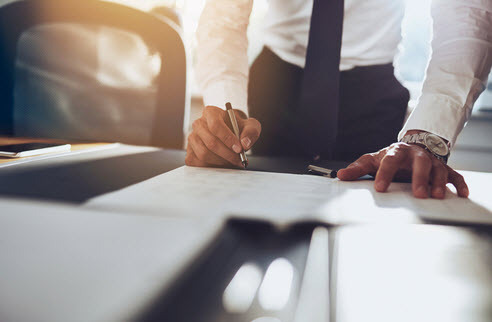 At Cloud Willis & Ellis, our experienced business & corporate law attorneys can help you with each stage of dissolving and winding up your business. Contact us today to find out how we can provide you with assistance here in Alabama.